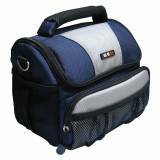 With it's double stitched, polyester, the bag will stand up to the most demanding tasks. Whether its hiking up a mountain or wrestling with a 3 year old on a sugar buzz! with the GEM 10 year warranty you know you are buying a product built to last. Nobody wants their precious SLR to be sliding around in an ill-fitting camera bag. At GEM bags we do not stop there! 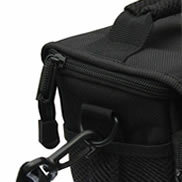 The SLR bag also boasts a SECRET compartment behind the belt loop. Pat Phillips August 13 I love this camera bag! A perfect size for my Nikon D5000 plus 24-85 zoom, it is small and light but extremely well made with decent, adjustable padding and sturdy buckles and closures. 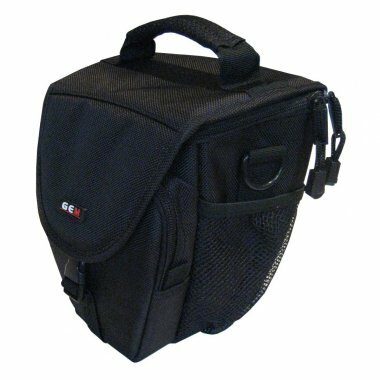 It is an unflashy, low key bag which does not scream MUG ME! (very important for street photography out and about in dodgy areas of London). The pockets are extremely well thought out - I can stuff this with memory cards, spare batteries, lens cleaner, chargers, everything I need for a day of shooting - it's capacity for small accessories is astonishing. The varied and many pockets make organising your stuff convenient and easy - no rooting about in the bottom of a bag for loose bits, it's all stowed securely. 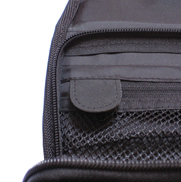 The soft, sturdy inner mesh pocket lets you see what's in there at a glance. 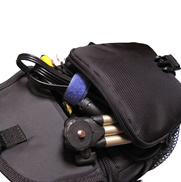 Pockets are soft and zips are recessed so that nothing sharp or scratchy comes into contact with your kit. Everything feels very well made, carefully thought out and secure. I have trusted this bag on protest marches, on camping trips, as hand luggage when travelling abroad and when photographing boozy birthday parties. It's an absolute joy to use. It won't keep a prolonged downpour out but I have worked in the rain with this and if you stuff the pockets with silica gel sachets your camera won't suffer too much. If you need a small, lightweight, minimal camera bag that you can trust to keep your kit safe and organised look no further. Chris Richards November 12 I bought this bag for my Fuji Finepix 4500 camera. 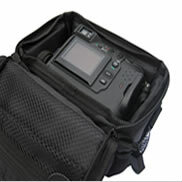 The camera fits in very easily and theres easily enough room to fit in my Casio Exilim in its case as well. Construction is very sturdy with plenty of adjustable internal padding to hold your camera safe and secure, the finish is to a high standard. 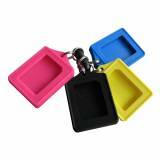 Transportation is via either the handle, shoulder strap, or belt loops at the back. 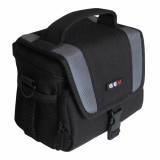 You will not go wrong with this very reasonably priced good looking camera bag. Buy it with confidence. 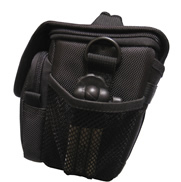 GEM Top Loading SLR Camera Case for easy access to your camera with a good level of protection.